The Carnival Splendor has now been forced to make changes to its current sailing due to Hurricane Arthur. On July 5th the ship was scheduled to call at Saint John in Canada but this will no longer happen. Carnival Splendor will now be visiting Bermuda on the same day instead. Hurricane Arthur is the first Hurricane of the 2014 Atlantic season and has now formed as a category 1 Hurricane. The storm is heading North just of the eastern coats of the United States. As Cruise Hive previously reported on yesterday Arthur was a Tropical Storm which formed just of the west coast of Florida. Almost every cruise port on the US East coast is to be affected by the storm and this has caused disruption to several cruise ship itineraries so far. Norwegian Gem has already adjusted its voyage by calling at Nassau, Bahamas instead of Great Stirrup Cay so that the cruise ship will stay ahead of the Hurricane as it sails back towards New York city. Royal Caribbean has also been forced to make some changes. Enchantment of the Seas, Grandeur of the Seas and Majesty of the Seas all missed ports in the Bahamas with only slight alterations. Hurricane Arthur is currently moving north-east with maximum sustained winds of 80 mph. Arthur is moving at 9 mph and there is currently Hurricane warnings from Surf City, Carolina to North Carolina border. ocean surges are expected up to 4 feet. 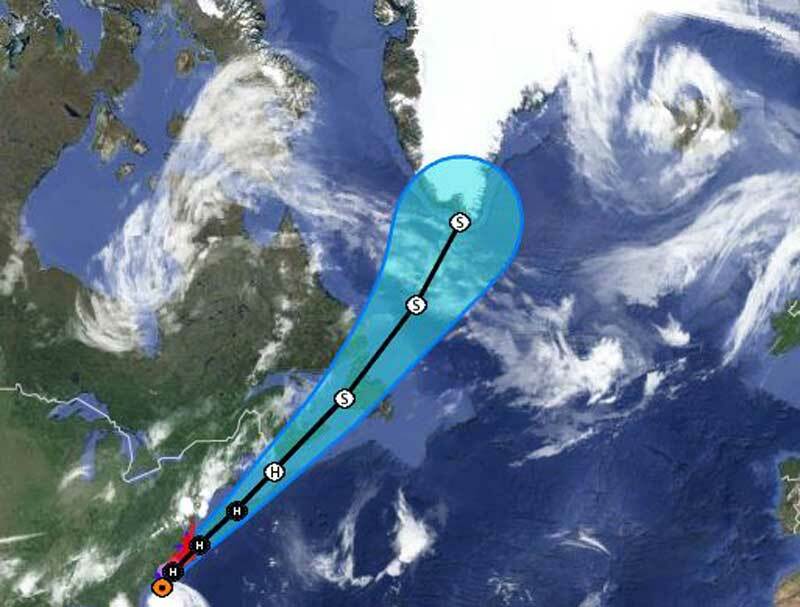 Cruise Hive will keep readers informed on the latest developments of Hurricane Arthur.